While the Italian Mafia was the original driving force in creating the criminal underworld in the US, by the mid-1980s, that world had become more ethnically diverse, with one of the most powerful illicit organizations being the Cuban mob. Known on both sides of the law as “the Corporation,” the Cuban mob’s power stemmed from a criminal culture embedded in south Florida’s exile community — those who hoped to overthrow Fidel Castro’s revolution and reclaim their nation for themselves. But on the way to that hoped-for outcome, they built a ruthless criminal empire in their land of exile. 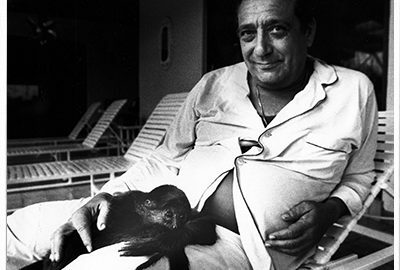 T.J. English wrote about the American Mafia and the Cuban revolution in his 2008 book, Havana Nocturne. Now, a decade later, he’s returned with the sequel, a cinematic sweep of a story of the Cuban American mob, with its history of murder, mayhem and corruption — and its connection to some of the highest levels of the US government, including the CIA. TJ English is an author and journalist whose work chronicles the American underworld. He’s the author of eight books, including Savage City, Havana Nocturne and The Corporation. “If you don’t understand the history of organized crime in America, you don’t understand America.” That’s what TJ English wrote in his book, The Corporation: An Epic Story of the Cuban American Underworld. It’s an idea he broached in his earlier book: Havana Nocturne: How the Mob Owned Cuba and Then Lost It to the Revolution. He told us about that book in 2008. We play an excerpt from that interview exploring that notion in more depth. Lionel Shriver was a guest on Writers Voice in 2013, talking about her novel Big Brother. 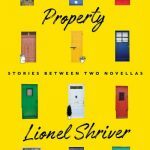 Now, she’s come out with a collection of short stories (and two novellas) called Property. Shriver is an intellectual writer; she likes to sink her teeth into an idea — health insurance, for example, or what happens when the world goes dark to electronic devices. These stories are no exception. They explore the idea of how property acts as proxies for ourselves, whether it be real estate or just stuff. 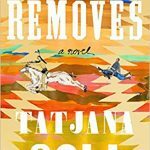 Here’s a novel we’ll be following up on in the Fall, but you can get a jump on that conversation by checking it out now: The Removes by Tatjana Soli. We first spoke with her too many years ago about her debut novel The Lotus Eaters. The Removes takes the reader to the American West during Custer’s time. In fact, Custer is a character, along with two young women. One is a teenager who is captured by Cheyenne warriors and joins the tribe. The other is Custer’s wife. All three characters have to wrestle with their role in the conquest of the American West and the dispossession of its native inhabitants.